The benefits of a vaporizer are astounding. Benefits of a vaporizer. 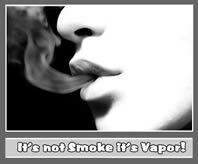 Why vaporize? The benefits of a vaporizer are revolutionary for the everyday smoker. Now you can experience your high without worrying about harmful toxins destroying your lungs. When you use a vaporizer, over 95% of smoke and carcinogens are eliminated by using the vaporization process. just left behind since combustion is the major source of the problem. No more lighters, ash, and harsh rips. That bic lighter you have reaches 3590 degrees F. Thats right 1977 degrees C. When you light your bowl on fire the temperatures of the smoke is smoke can sometimes reach an upwards of 1000 degrees F! Now if you use a bong, that temperature is going to be significantly lower, however, you still have to worry about not being able to breath after you take your hit. With a vaporizer your hits will be a warm smooth rip, every time! When you use a vaporizer the temperatures do not need to reach combustion point. Your buds are evenly warmed using hot air or a hot surface which means no more flames…That means your vapors are going to be significantly cooler, which ultimately means less harsh of rips. Smoke is basically microscopic carcinogenic ash particles. Those particles that you don’t blow out cling to your throat and lungs, giving you that burning and coughing sensation. No more coughing and burning sensation. Just more benefits of a vaporizer. For me, one of the greatest benefits of a vaporizer has been the elimination of hysterical coughing spells that are often embarrassing. With a vaporizer your lungs can be spared. When you vaporize marijuana your lungs aren’t exposed to such extreme temperatures. Vaporizers are over 75 % cooler than smoking marijuana. The taste is of marijuana vapor is amazing! Do you think you know what weed tastes like? If you like the taste of weed out of pipes, bongs, and joints, then you will be blown away when you use a vaporizer. The taste is so pure. It’s like none other. So organic, and herbal, it’s like inhaling Christmas tree aroma but even better. When on a budget picking up lower quality weed is sometimes what people resort to. If you grinded up the stems with your buds it wouldn’t change the taste of your hit enough to notice. No worries, since you shouldn’t be getting it hot enough to burn. That’s when it starts tasting like burnt popcorn. Not to bad in my opinion. If you were wondering if marijuana vaporizers give off the smell of weed, the answer is YES they do, however, it is much much weaker than smoking marijuana. The smell of vaporized herb is very similar to the smell of your sack that you are vaporizing. Just like pure herb or danks. No more smoke just hanging around. A great thing about weed vapor is that it dissipates into the air much faster than smoke. If you are in a well ventilated area, the smell should be gone within minutes of your session. The smell of over-vaporized weed is often compared to the smell of burnt popcorn. The benefits of a vaporizer is that the smell is nothing like smoking marijuana, so if you haven’t smelt vaporized weed, you probably wouldn’t be able to recognize the smell. Vaporizers can help you conserve your weed. That’s right…There is a way to make your weed last longer. Since you have control of how hot or warm you want your vaporizer you can choose how long you want your herb to last. If you set it at a low temp around 300 degrees F you can make you average size bowl last, and last. This creates a more mild long lasting high. If you want a more powerful hit, just crank it up around 360 degrees F or higher. It’s most likely going to be a new experience for you. There are many different types of vaporizers o the market that have good reputations, and good prices. If you click here you will go to our vaporizer comparison chart. 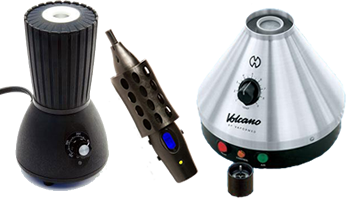 Go to our vaporizer comparison page to learn about some good deals on vaporizers. No matter which model you choose they all serve for the same purpose. Saving your health.